Michael G. Tannenbaum is a founding partner of Tannenbaum Helpern and co-chairs the firm’s Financial Services, Private Funds and Capital Markets Practice. With close to 40 years of experience, he regularly advises a global roster of clients on the organizational, structural, compliance and regulatory aspects of US-based and non-US-based private funds, investment managers, hedge, venture and private equity arrangements (including fund formation and the underlying M&A transactions), commodity pools, complex structured arrangements, index products, exchange-traded funds, seeding arrangements, mergers, acquisitions and consolidations, and related tax implications. His clients include investment advisers, funds, fund sponsors, multi-manager and fund-of-fund platforms, principals, global institutions, non-US law firms relating to matters of US law for their clients, and family offices with regard to regulatory, governance and organizational matters. He has served as an arbitrator and private mediator in complex private fund and investment management cases and in National Futures Association disputes and business conduct matters and is active in litigation in the private fund space. Michael has served as vice chair of the American Bar Association’s Hedge Funds subcommittee and was a participant and presenter at the seminal SEC Hedge Fund Roundtable in Washington, DC during the formative years of SEC regulation. 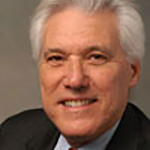 He has written and co-authored numerous articles on hedge fund and investment adviser law and regulation, and is a frequent speaker at industry conferences including the Practising Law Institute’s hedge funds program, numerous OPAL, GAIM and MAR conferences, and programs sponsored by the International Bar Association (private funds section). Michael has served, with distinction, as co-chair of US Managed Funds Association (MFA), served on its steering committee and legal issues forum (2006 to 2008) and is a past president of the Hedge Fund Association. Michael is a graduate of New York University Law School (LLM Taxation, 1971), New York Law School (JD, 1970) and Fairleigh Dickinson University (BS, 1967). Michael has been selected for inclusion in New York Super Lawyers for 2006 through 2017, every year that selections were made. Also, he has been selected for inclusion in Best Lawyers for 2013-2018, in International Who’s Who of Private Fund Lawyers and in Lawyers World as a leading lawyer in Capital Markets, Corporate, Capital Formation & Securities-North America for 2012. The law firm received the Hedgeweek Award in 2013 as “Best North American Law Firm” and has been selected to Forbes list of elite US law firms.